Having long been influenced by the published works of Frank Lloyd Wright and other hallmarks of American design, Norman Foster arrived in America in 1961 in order to pursue a master's degree at the Yale School of Architecture. Between 1961-1962, Foster embarked upon a formative period immersed in an utterly different environment than his previous studies. 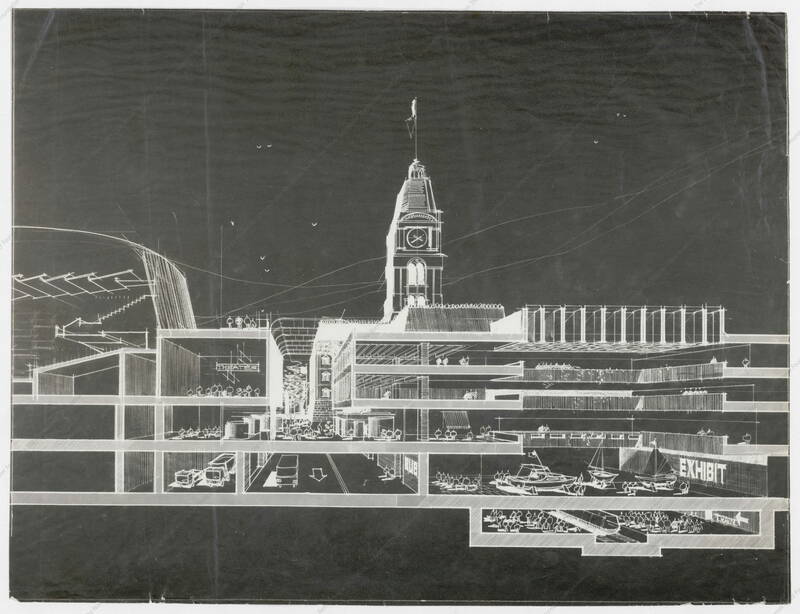 The drawings and models developed during this period reflect the fusion of Foster's early passion for architecture and technical background from the University of Manchester with the distinct architectural culture that emanated from Yale in the early 1960s. 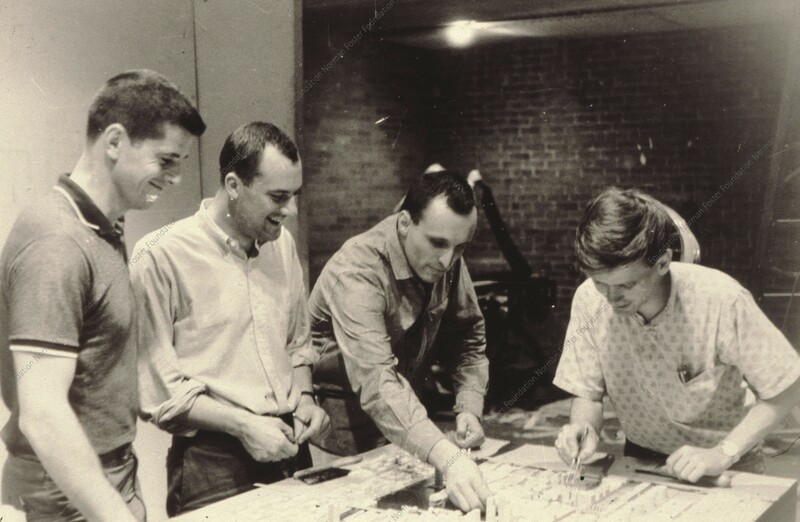 With Paul Rudolph serving as dean and Serge Chermayeff and Vincent Scully as professors, Foster learned from distinguished mentors with diverse approaches to the built environment. Across individual projects, the Foster's Years at Yale University reveal the development of a bold new language of architectural drawing. If Foster's studies at Manchester are documented by colourful, often illustrative drawings realised with gauche and watercolour, the drawings completed at Yale represent a stark departure. Certain signatures of Rudolph, such as the cut-away perspectival section and layering of shadow and light to a create profound sense of depth, appear as clear references for Foster at the time. Foster's section for the Private House, for instance, exhibits both this drawing technique and fundamentally more complex stepped sections later manifested in Team 4 projects such as the Skybreak house. The Concrete Office Building for New Haven adopts the stepped section at the scale of a high rise where five office floor modules arranged in a u-shaped-plan are linked by a single service core. In addition to having Paul Rudolph as an influential professor, Foster also worked as a draughtsman in Rudolph's architectural firm, helping to execute drawings that he had long admired from afar. 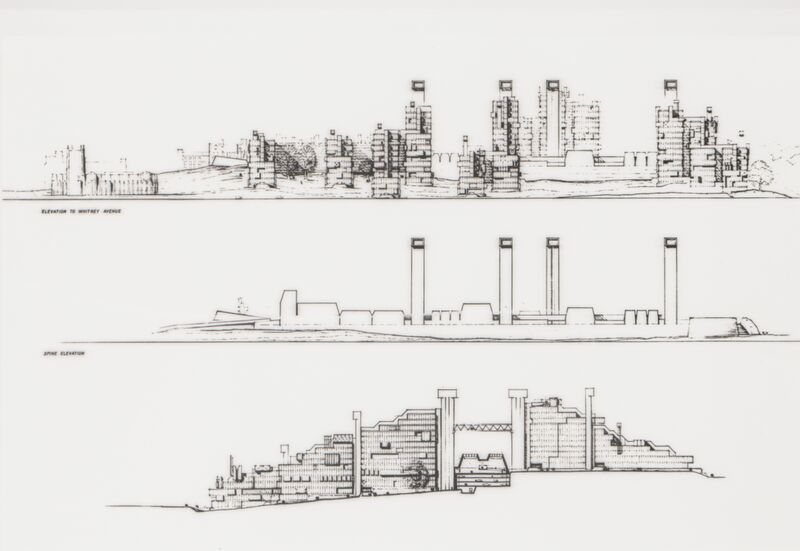 In addition to the distinctive sections discussed above, the schematic diagram moves out of the sketchbook during this period and emerges as a refined mode of representation and communication, as seen in the functional plans for the New City project. A career-worth of drawings completed after Yale reflect both the intensity and expressiveness of this school of drawing while reviving the communicative and playful potential of illustrative elements in certain contexts. The projects completed at Yale are immediately striking for their scale. In this way, they perhaps reflect both reflect Foster's encounter with American spatial sensibility along with the influence of a historical moment in which the Megastructure captured the architectural imagination. The elevations and section for the Pierson Sage Science Laboratories, for instance, show a massive interconnected complex that evokes the scale of a city in a single structure. Created in collaboration with fellow Yale classmate Richard Rogers, the Pierson Sage Science Laboratories' two stepped elevations are connected by pedestrian bridges above a serviced spine which runs the length of the site. While surely a product of its time, the scale of these studio projects encouraged consideration of architecture as integrated endeavour with urban planning. Rather than merely existing as discrete sites, projects such the Pierson Sage Science Laboratories ambitiously reimagine and integrate infrastructure into the fabric of the proposed architecture. This holistic manifestation of urban architecture and the scale of the megastructure meet in Foster's Master's Thesis, a master plan proposal for a new city. The New City is notable for the way in which it reflects early architectural reckonings with the role of the highway in the mid-century city. At a time when highways were still being cut through the fabric of many American cities, the perspectival section of Foster's New City images a future in which cars and transit infrastructure are submerged below the inhabited urban space. In the way that the Stansted airport would later revolutionise the airport by moving service systems below the passenger terminal, through the reconfiguration of infrastructure, the streets in the New City are freed to create a pedestrian area between dense theatre and exhibition spaces.